So Many people ask me how to make Tweety fly on their own site, so I thought I would explain. Just go to Dynamic Drive and copy the codes for a mouse trail. 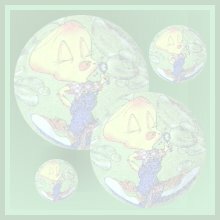 You can find the graphic for the flying tweety at CJ's Majestic Tweety Page, address above. Good Luck to creating your own great tweety page. Leave me a link on my guestbook and I'll be sure to visit.